This is a page dedicated to the parents who have lost a baby. Here I will share some ideas for making memories of your little one and the love that was shared. This first idea is something that Lee-Anne did—it is two memory blankets. One for her son to be buried in, and one as a family keepsake. I truly love this idea, and you all can be encouraged that she is not an expert sewer. This was her first time sewing and she had beautiful results! Hello, my baby was diagnosed with Potter’s Syndrome a few months back. 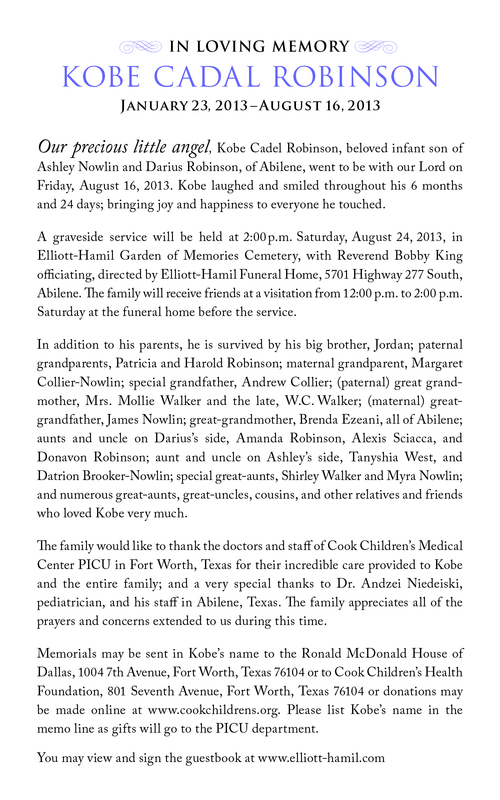 We decided to do something as a way to preserve his memory. I thought I would post it here, so I could share it with you and maybe give someone else an idea of how to preserve their baby’s memory. I made two baby blankets. The first one is Isaac’s blanket, and will be buried with him. The second one will be a family keepsake blanket. They are exactly the same, except for the middle square. My baby is still inside me, so I cannot finish the second one until he is born. But they both have my handprints, my husbands handprints and both of my daughters’ handprints. Underneath the handprints is our names. In the middle square on the first blanket it says “We will forever hold you in our hearts as God holds you in his arms forever” This will be Isaac’s blanket. On the second blanket, which will be completed after he is born, will be the same except in the middle square it will have his handprints, name and dates. So, it will be a complete family blanket with everyones handprints. “I never used a pattern. This was my first time sewing actually….I got the idea from my mother-in-laws family quilt. It had hand prints on squares all over it, but they were done in marker. My husband thought it might be a good idea to try making one of our own for our small little family as a way to remember our son. I didn’t like the idea of just using marker, so I went a step further and embroidered them on along with our names. I used a big embroidery hoop to do that part. I embroidered the squares before I sewed everything together. One thing I like about this quilt is that it can be made at any time. If you have your child’s foot and/or handprint, you can make a copy, cut it out, and trace around it onto cloth and embroider just as Lee-Anne did. If you are unsure how to do this or you truly are unable to sew, perhaps you could go to a local senior center and see if any of the talented people there may be able to help. If you have any questions I can refer you to Lee-Anne. Please use the contact form. Click on the picture and it will take you to a beautiful memorial site. It takes my breath away. Because word has spread and they are getting swamped with requests, please understand they take their email off the site occassionally so they can get caught up. 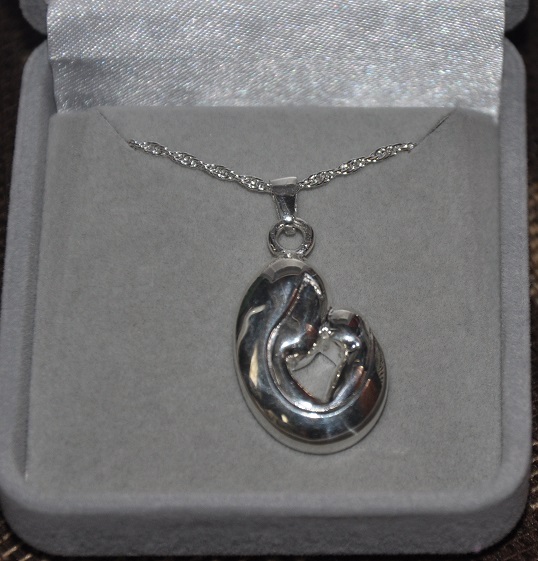 My Forever Child–Keepsakes and Jewelry for Remembrance, Healing, and Hope. Photo jewelry, items made from your child’s footprint, and much more. Click on above link to view Lisa Haldeman’s amazing work. She makes a memorial sculpture of your baby. Northside Hospital Perinatal Loss Office has listed many ways to remember your baby. 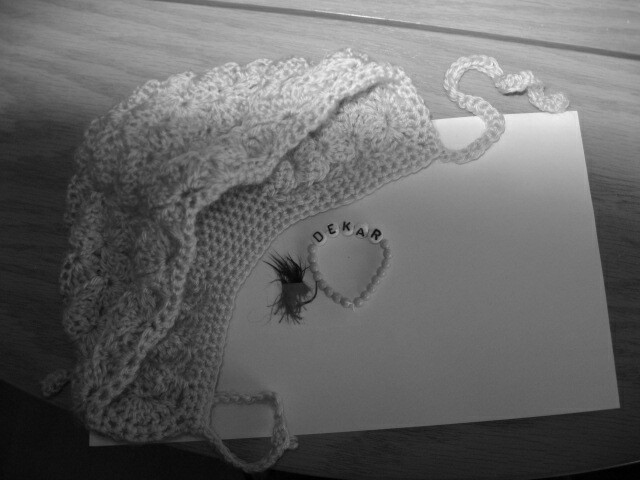 Hali put this together the day after Dekar died: A clipping of his hair and the bracelet and hat that the hospital provided. 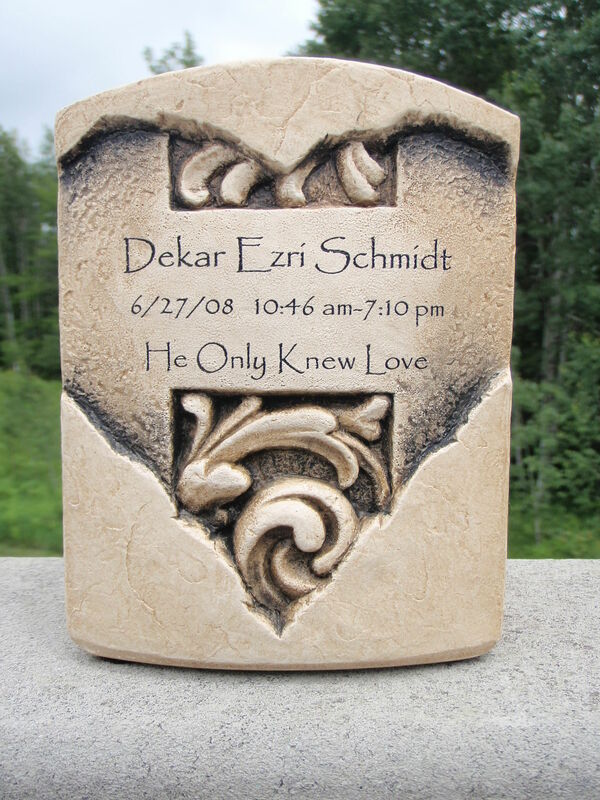 Dekar’s urn. This can alternatively be used for momentos. The urn was purchased at PERFECT MEMORIALS. They have a wide selection of urns and other memorial items. I was very pleased with their products, price, and customer service in general.